New Israeli President, Shimon Peres, Shocks the World by Calling For Complete Israeli Withdrawal From Judea and Samaria in the West Bank So A Palestinian State Could Be Created! Title: New Israeli President, Shimon Peres, Shocks The World By Calling For Complete Israeli Withdrawal From Judea and Samaria in the West Bank, So A Palestinian State Could Be Created! Subtitle: Israel once again puts forward her weakest face to her Arab enemy, thus encouraging them to believe Israel is uniquely weak and vulnerable RIGHT NOW. How could any Israeli leader advocate such a foolish, treasonous plan? Remember, Shimon Peres called for Jerusalem to be the "World Capital" under international control almost exactly 4 years ago! Former Prime Minister Shimon Peres wasted no time shocking and alienating his Jewish constituency. In his inaugural address as the new President of the State of Israel, Peres advocated the most shocking and treasonous course of action Israel could possibly take. But, of course, since Peres is a trusted member of the Illuminati, his "shocking proposals" are nothing more, nor less, than the actual hidden plan of the Great White Brotherhood! Let us review Peres' inaugural remarks. "(IsraelNN.com) President-elect Shimon Peres, whose inauguration ceremony has just begun, is wasting no time in giving inflammatory interviews. Speaking with the Associated Press before the ceremony, Peres said 'we must get rid of the Territories', using the left-wing terminology for parts of the Land of Israel liberated in 1967 ... Peres claimed that the need for 'getting rid' of Judea and Samaria reflected the will of the majority of Israelis ... 'I have changed my job but not my beliefs'." Conservative Israeli voters are simply beside themselves with anger, as they had fought Prime Ministers Sharon and Olmert to a standstill over the planned Unilateral Withdrawal. In fact, their opposition proved to be so intense that Olmert unofficially decided to move the issue to a back-burner. But, now the new President of Israel, Shimon Peres, has brought the issue back to the front burner, as he almost gleefully proposes to give up still more Biblical land to the most hateful enemy the modern Jewish State has ever seen, the Palestinians. In fact, Peres used the exact phrase which Left Wing advocates have used to describe the giveaway of so much land that Israel would shrink to the indefensible borders prior to the Six Day War of 1967. This next article tells of this anger.
" 'This is what we were afraid of – that Peres would continue to push his political agenda as president', said MK Yitzhak Levy (National Union) Sunday, in response to the new president's inauguration speech. 'It is regrettable that on his very first day he chose to voice opinions that drive a wedge though the people instead of uniting them', he added." "National Union-NRP Knesset Member Zvi Hendel slammed President Peres over his statement, saying 'even prior to entering the role of president he (Peres) attempted to tear the nation apart and is playing into the hands of his murdering friends in the Palestinian Liberation Organization'." Shimon Peres was also the Israeli leader who shocked the entire Jewish world by a radical announcement several years ago. Do you remember? CALLS FOR HOLY PLACES OF JERUSALEM TO BE CONTROLLED BY UNITED NATIONS! NEWS BRIEF: "Peres Raises 'World Capital' Solution for Jerusalem", Yahoo News, July 22, 2003. "JERUSALEM (Reuters) - Shimon Peres, the head of Israel's opposition Labor Party, has suggested resolving Israeli-Palestinian conflict over Jerusalem by putting its holy sites under U.N. stewardship ... His plan calls for declaring a holy area of sites sacred to Jews, Christians and Muslims in Jerusalem's old walled city as a "world capital," with the U.N. Secretary-General serving as mayor ... Israel has previously rejected proposals raised by the Vatican to internationalize Jerusalem." While Peres stated that he had not raised this proposal with either the Palestinians or the Israeli government, he is thoroughly controlled by the Illuminati and has never been thought of as a "loose cannon". Therefore, you can only conclude that Peres made this announcement because the time had arrived in the working out of the New Jerusalem Covenant Project for the step to Internationalize control over the holy places to occur. What New Jerusalem Covenant Project, you might ask? In early August, 1991, a former member of the House of Theosophy, Boston branch, sneaked me into a members-only seminar given by Bill Lambert, the New England Director; Lambert had just returned from a 3-year stint in Israel as a member of the Illuminist planning project entitled the "New Jerusalem Covenant Project". Some major decisions had just been made and Lambert was eager to share them with his members and their guests. God's hand was truly on me to give me access to this meeting for I learned the detailed Illuminati plan by which the New World Order Plan was to proceed from its birth to the final appearance of "The Christ", who is the Biblical Antichrist. Some of the steps Lambert outlined have already occurred, as we shall detail, but one of the most intriguing steps is the part of this plan to internationalize Jerusalem to the extent that control of the various holy places of Christianity, Islam, and Judaism would be controlled by the International Community. Once this portion of Jerusalem is controlled, the International Community will build a "combination Temple/Church/Mosque in Jerusalem." Of course, Lambert here is speaking of the three monotheistic religions of the world, each of which claim Jerusalem as their holy city. Once the areas now controlled by these three religions -- Judaism, Christianity, and Islam -- are controlled by the international community and are combined, the "New Jerusalem Covenant" will be declared, as will the accompanying religious part of the plan, the New World Order Religion. Lambert presented this combination worship center as the final solution to the seemingly intractable religious warfare, hatreds, and tensions that have been swirling over the region since Israel became a nation in 1948. Once this combination worship center is built, the Pope will travel to Jerusalem to dedicate the groundbreaking for the new international, interfaith worship center, he will declare all world's religions to be united, and the New World Order Religion will be born! Bill Lambert refused to say that this combination church building would be built on the Temple Mount, as I directly questioned him; as I asked Lambert this pointed question, he was so evasive and his body language was so pronounced, I concluded that this worship center would NOT be built on the Temple Mount. But, note again that this specific part of the New World Order Plan, called the New Jerusalem Covenant Project, envisions the establishment of a religious Jerusalem comprised of a combination of the three monotheistic religions of the world -- Islam, Christianity, Judaism. Bill further stated that "any purely political settlement in the Middle East would not, by itself, bring peace. In other words, a purely political settlement would leave the religious nature of the problem unsolved. Any permanent solution to the Middle East conflict would also have to see the religious portion of the problem solved. Once this religious problem is solved, then the power and influence of the Orthodox Jews in Israel would permanently decline." This statement reveals the intense hatred the Illuminati has for the Orthodox Jew, a hatred that Jewish journalist, Barry Chamish, has chronicled well. Then, Lambert told us how the pressure would be applied that would move the world and Jerusalem in this planned direction. The "Rumors of War" prophecy of Matthew 24:6-7 will then be fulfilled; once again, the Illuminati is caught crafting a plan that simply fulfills prophecy! The very next matter Lambert covered was the appearance of Antichrist [Read Verbatim Notes from this seminar, NEWS1052]. The very fact that we see a "radical" proposal to give control of religious Jerusalem to the International Community tells us we are getting much closer to the actual appearance of Antichrist and to the war that will produce him. Now, we have the ingredients of the New World Order plan to internationalize the religious areas of Jerusalem. Let us see the progress so far of these steps so we can readily see where the world community stands right now in the prophetic scheme and the corresponding Illuminati plan. Lambert listed these five steps to produce Antichrist. Step One -- Three global conferences must be held in order to give birth to the New World Order System. Step Three -- International Control Over Jerusalem Religious Areas - Once this control is established, groundbreaking could begin on a new combination worship center for Jews, Christians, and Muslims. Step Four -- Roman Catholic Pope travels to Jerusalem to dedicate this new worship center, proclaiming that all religions of the world are now one. He is their head and the New World Order Religion is now official. Step Five -- Antichrist will come to the world scene, after the world war has been fought to produce him. After he arises the plan calls for a new Temple to be built, after clearing the "rubble of the Dome of the Rock", of course! Now, let review each of these steps so you can see how far we have come, and how little we apparently have to go. Remember, I first heard of this plan on August 18, 1991. * September 4-6 -- Global Business Meeting co-chaired by Mikhail Gorbachev and Colin Powell -- Nothing much of interest came of this meeting, but the whole reason for these three meetings was to provide the "synergistic" psychic energy boost the world needed to move into the New World Order. This entire episode was intended simply to "give birth" to the Kingdom of Antichrist. * September 6-10 -- Global Political Meeting -- Once again, nothing much of interest came of this meeting either. Remember, the number "three" to the occultist is very important because it is the number of the pagan trinity. Thus, three meetings were planned and carried out. Since a baby is born at the end of the final birth pang, the baby system of the New World Order was "born" September 10, 2000. On June 29, 2003, this Intifada was 33 months old, and a top Israeli Defense Force general declared the Intifada to be over; what we really think he meant -- since the terrorism continued -- was that the planned 33-month Intifada was over, and it was now time to move to the next step. Now that a Palestinian State has been declared as a goal on June 4, 2003 [NEWS1807 and NEWS1819 for full details], Shimon Peres has stepped forward with a shocking proposal that, once implemented, will fulfill Stage Three of this New Jerusalem Covenant plan. When Shimon Peres made this proposal that will be so shocking that it is likely to galvanize radicals on both the Jewish and Muslim sides, he set in motion the desired chain of effects that will result in achieving this goal. 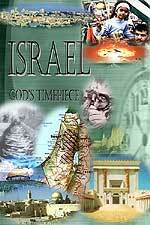 Israel has fervently held that Jewish control over Jerusalem and the holy places will remain in perpetuity -- forever! Such a position is considered to be holy and sacred. However, Israeli leadership is so controlled by the Illuminati, they can suddenly reverse this position. Roman Catholic Pope -- Whomever He Is At The Time -- Since the New Jerusalem Covenant plan foresees the Roman Catholic pope to serve in the capacity of False Prophet [Revelation 13;11-18] in the New World Order Religion, let us examine the fact that Pope John Paul II had forced his way on to this particular stage, acting out the script the Illuminati has given him. In NEWS1587, we recorded a most unusual private meeting between Pope John Paul II and Yassir Arafat on 2/15/2000; Israel was pointedly not invited! At this meeting, the Pope and Arafat agreed on two matters, and issued their understandings in the form of a "covenant". First, they agreed that Jerusalem must be an international city. Therefore, Arafat is already on board with this plan, needing only to properly break the nasty news to his Palestinian followers. Secondly, they agreed that a Palestinian State was to be carved out of the existing state of Israel. Thus, the Pope is ready at the corner of the stage, awaiting only the cue that the time has arrived for him to come to center stage to declare all world's religions are now one and that he is the leader. The current Pope, Benedict XVI, is continuing the process started by John Paul II. We do not believe that Benedict XVI is the final Pope, the one who will be the ultimate False Prophet. Once he is off the world scene -- and he is an old man of 80 years old -- the new Pope will probably be final Pope, the one whom the Bible will call, "False Prophet". Pope Benedict XVI is simply "keeping the ball rolling" with his current actions. United Nations Heritage Foundation -- On paper, the United Nations already controls Jerusalem! Did you know this? Read NEWS1635 for you need to know that the United Nations has controlled Jerusalem since 1999 -- on paper, that is. In this 33-month Intifada, Jews and Palestinian citizens alike have agonized over the losses of this war and the devastation it is causing, both material and economic. With a Palestinian State having been declared on June 4, 2003, what city would they choose as their capital? They want Jerusalem. However, the Israelis insist upon Jerusalem as their "eternal" capital. Therefore, since neither side can agree upon control of Jerusalem, neither side will control it. The United Nations will control it! Hamas can rule from Ramallah and Israel can rule from Tel Aviv; this is the reason Bush pointedly did not move the American Embassy from Tel Aviv to Jerusalem as he promised during the campaign. NEWS BRIEF: "The following properties have been approved by the World Heritage Committee to be included on UNESCO's World Heritage List. The list currently contains 630 different properties as of December, 1999, "Jerusalem" alphabetically listed. Obviously, the City of Jerusalem would fall under the classification of "Cultural Heritage". Now, most people would be hard-pressed to argue with the rhetoric of this program; after all, doesn't it sound like a good idea to preserve the Cultural and Natural Habitats that are threatened with destruction by one or more forces? Of course, it does. However, the devastating problem here lies in giving the United Nations control over these sites, rather than allowing the individual sovereign nations the opportunity to address the problems on their own. Are the peoples of the world at the point now where they are so war weary they would allow -- or insist -- upon international control over Jerusalem so the "cultural value" of the places deemed sacred by Jew, Christian and Muslim would be "protected" by the International Community through the offices of the World Heritage Committee. Former Foreign Minister Shimon Peres has delivered the first salvo, proposing to a group of Russians that the holy places be controlled by the world community. Since the Illuminati has planned this scenario since at least 1991, we are certain the normal process of arguing back and forth for months or years is going to continue until the final piece to this specific part of the plan is set in place. Once this final step is in place, the False Prophet Pope would do well to finalize his travel plans to Jerusalem, to announce that all of the world's religions are now one, that he is the top leader, and that the New World Order Religion is a reality. When this does happen, then Step Four has just occurred. Now, let us look at Step Five. Step Five -- Antichrist will come to the world scene, after the world war has been fought to produce him. If these "breakthrough" agreements are reached, announced, and implemented, you would think the world would immediately go into a long period of peace. However, Step Five must occur, and quickly, after Step Four; Jesus said that the Kingdom of Antichrist would come from both wars and rumors of wars. Certainly, we have seen much of both recently, but the Illuminati has planned three world wars in order to stage Antichrist [NEWS1056]. Preparations for just such a war are in your Daily News Updates, as the rhetoric for Korea and the Middle East seems to increase daily. However, the question needs to be asked: can Antichrist arise on the basis of "rumors of war" -- threatened war -- alone, or must the world go through the World War III to spring him on the world scene? Former Satanists have flatly stated that Antichrist cannot be established without the Third World War. But, once Steps Three and Four are finalized and in place, won't the region know peace, at least for a little while? You would think so, but the radical Muslims and radical Jews might just blow up one of each other's holy places in order to force the nation into that World War III. In NEWS1404, we detail Arafat's apparent blunder in an interview with CNN's Christiane Amanpour on Thursday, September 8, 2000, as Arafat was in New York City for the three Antichrist conferences. Let us quickly review Arafat's blunder, for it may contain the seeds of understanding what may occur after "peace" breaks out following implementation of Steps Three and Four. In a heated interview with CNN's Christiane Amanpour last Thursday, Yassir Arafat may have very well revealed where the next conflict will begin ... Arafat blurted: 'We Palestinians ... our first targets is our land (the land of the holy places)'. At this point, Arafat leaned towards her and asked her if she knew what the holy places were, and after expressing several choppy thoughts suddenly leaned back in his chair and immediately changed his body language. The change was unmistakable. He obviously realized that he had said something that he would not have said, were he in control of the interview. He feigned a quick smile and announced that the interview was over. He then began pulling the clip-on microphone from his lapel and a very concerned Palestinian aide walked onto the set to help him undo the wireless microphone device. He left without saying 'goodbye', leaving a very shocked Amanpour." Arafat also possesses another deep, dark secret, which it looks as though he may have let slip out of the bag here; he knows the exact military and paramilitary plan by which the Arabs are going to attack Israel in the not-too-distant future! When I was in Army Intelligence, we were constantly reminded to always be on an active, strong defensive mental posture so that we would not accidentally reveal secret material in casual conversation with a person not properly cleared to receive it. I believe it highly likely that Arafat has accidentally let slip two (2) very important parts of the Illuminati Plan to produce Antichrist. Once he realized how badly he slipped up, he abruptly and rudely terminated the interview. The very next day, on Friday, September 8, Arafat was suddenly on a plane, heading back to Gaza. The Illuminati must have been absolutely furious with him over his gaffe. If Arafat revealed that he has plans to destroy the Palestinian's holy places, that is most assuredly the Illuminist plan by which World War III will be started. If the Dome of the Rock (al Aqsa Mosque) were to be destroyed, all 1.2 billion Muslims in the world would fly into such a rage that, instantly, Jerusalem would become the "Cup of Trembling" foretold in Zechariah 12. If Hamas orders the Dome of the Rock destroyed, it will be because the Illuminati planned it to be destroyed. 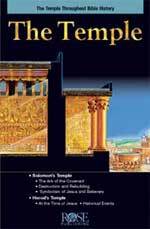 At long last, the global Fraternity of Freemasonry can begin to construct the new Temple, the Temple of Antichrist, which the Masons will call the restored Temple of Solomon [Read NEWS1643 for a full understanding of the intensity of the Masonic obsession with the new Temple]. Minutes before Antichrist arises, some supernatural sound will be heard, and spiritually felt, by everyone on the planet, simultaneously. At no other moment in world history will so many people be so devastatingly impacted at the same moment! This powerful sound is designed to get people looking outward and upward -- even running out of office buildings to look skyward -- to see what caused that heart-felt, soul-jarring sound. Images of Antichrist will appear all over the world simultaneously, speaking to each ethnic group in their own language. The "Signs and Wonders" will have begun, and will be carry devastating impact. People's souls will literally shake like a bowl of jelly. The Bible says that God is going to shake everything that can be shaken, so that those things which cannot be shaken will remain [Haggai 2:6, 21; Joel 3:16; Isaiah 13:13]. Too many Christians today are taking for granted that they will stand before the onslaught of the time of judgment when Antichrist shall finally arise. Make no mistake about this fact: the very arising of Antichrist is God's Judgment, the beginning of His most fearsome and furious judgments. Too many Christians are so asleep at the switch, they cannot, or will not, see that President Bush is not a Born Again Christian, but is, in fact, a practicing Adept in that Brotherhood of Death Society, Skull & Bones. Nor can they see that he is leading America exactly as the Illuminist plan declares. If Christians cannot spot George W. Bush for the Illuminist he is, how can they hope to spot Antichrist, when he is accompanied by such Satanic supernatural power and does not have the provable history (Spiritual Fruits) Bush has? * He will appear as a man to a man and as a woman to a woman. * He will appear as a white to a white, as a black to a black, as an Indian to an Indian, etc." It makes no difference whether you are viewing him in person or on Television. Thus, "he will show that he is all things to all people". A few months after demonstrating this kind of illusory occult power, Antichrist will suddenly appear normally, seen by every ethnic group and every individual as he really is. Antichrist will announce that he appeared in this manner to demonstrate the point that he is "The Christ" for all mankind and that all groups and races are one. * On July 22, 2003, when he announced that Jerusalem should be the "World Capital". * On July 15, 2007, when he pronounced that Israel should give up Judea and Samaria of the West Bank. His announcements formed the heart and soul of Step Three of the Five-Step plan to produce Antichrist. We shall have to wait to see how this all works out, but at least we know that the Plan of the Great White Brotherhood is proceeding right along! We also know that the New Jerusalem Covenant Plan is still in operation and is still controlling events in Israel. And, most importantly, Peres' words will be seen by the Islamic leadership as just one indication that Israel's leadership right now is weak, and divided and incapable of strong leadership. The Winograd Report on the Lebanon War of 2006 has already branded the leadership of PM Olmert "of grave failures of judgment, responsibility and caution in his decisions to go to war in Lebanon last summer and its management. His decision was hasty and undertaken without in-depth study of the circumstances in the arena, a proper plan of action and clearly defined objectives. Full partners in these failures are defense minister Amir Peretz and former chief of staff Dan Halutz." Now, President Peres joins this weak and indecisive Israeli leadership, making it even more incompetent than ever before! Thus, all-out war continues to be the only option Islamic leaders seem to have in mind. Israeli President Shimon Peres, PM Olmert, and President George W. Bush are all planning to divide the land of Israel so they can temporarily give it to the Palestinians. If you have not read how the Palestinians are going to be annihilated in the final analysis, please read NEWS2095; you will be mightily surprised! Truly, the End of the Age seems to be screaming down upon us.